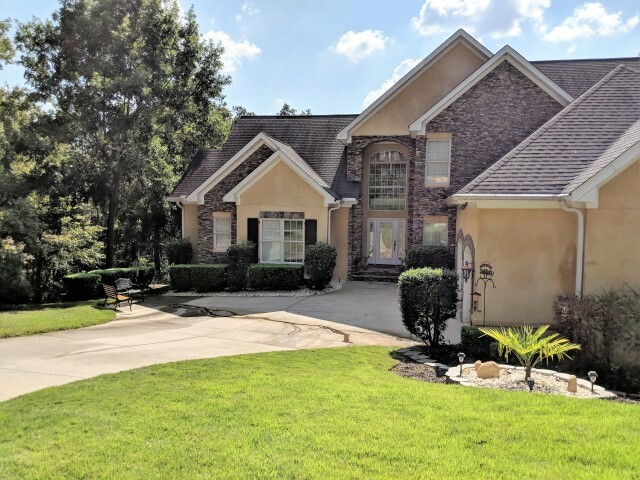 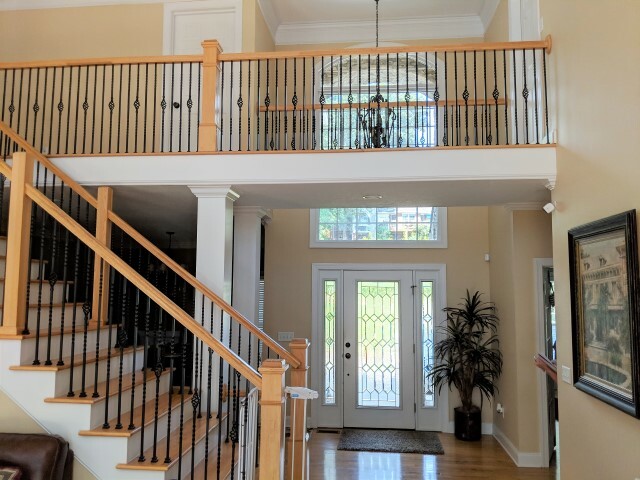 Beautiful 3-story custom built home overlooking the Savannah River with over 4600 sq ft of tranquility for Masters Guest! 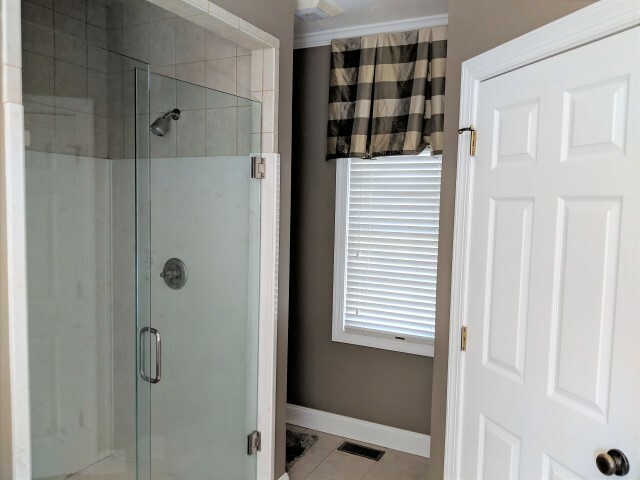 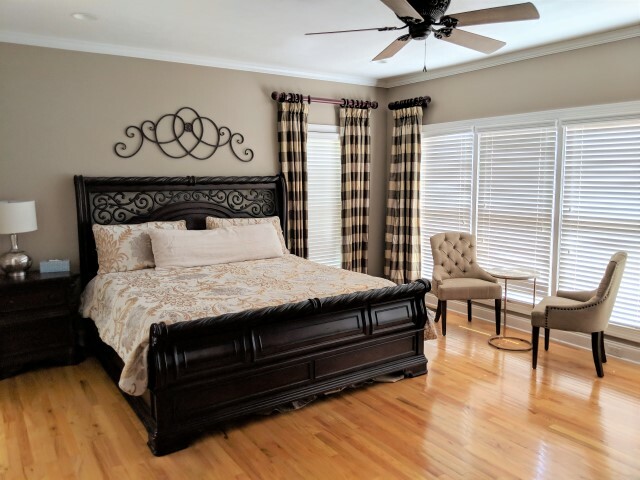 This home offers hardwood floors throughout main floor living areas featuring an open Great Room with gas log fireplace & plantation shutters. 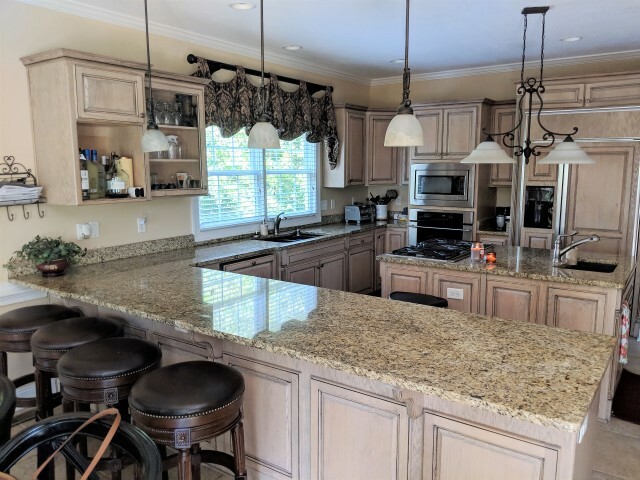 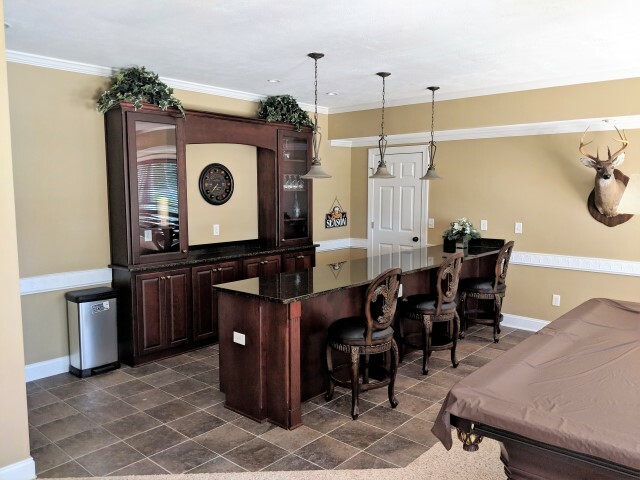 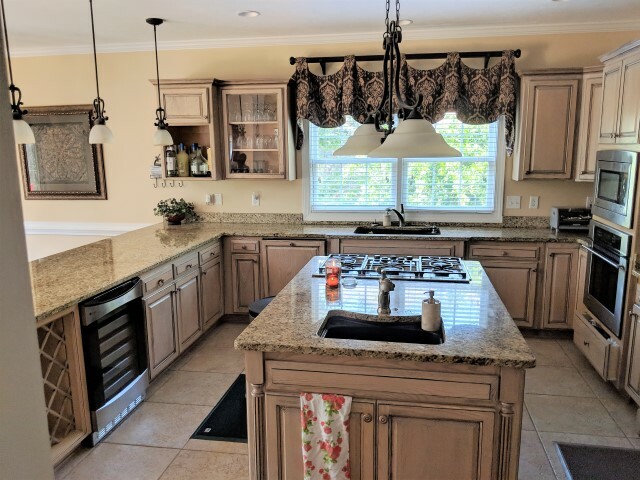 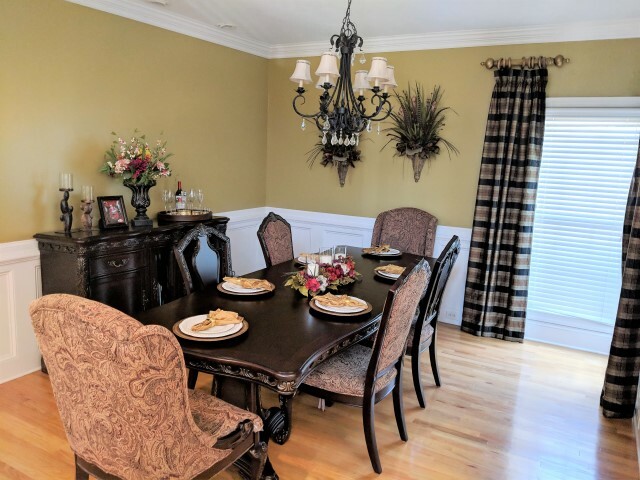 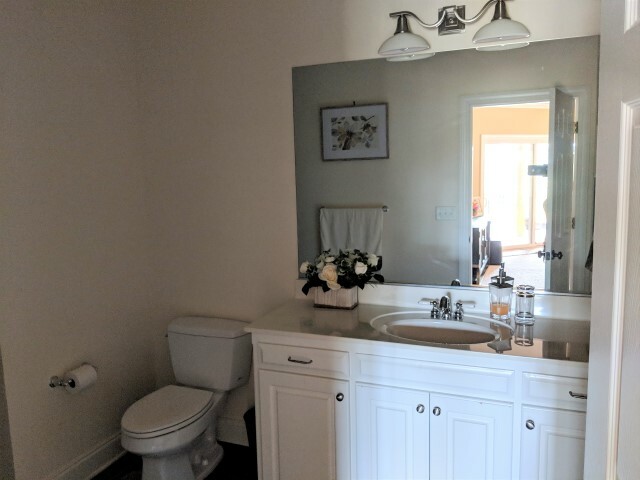 Formal dining room that seats (6), gourmet Kitchen that has tile floors, granite counter tops, breakfast bar, pickled oak cabinets, wine rack and cooler, center island with 5 burner gas range. 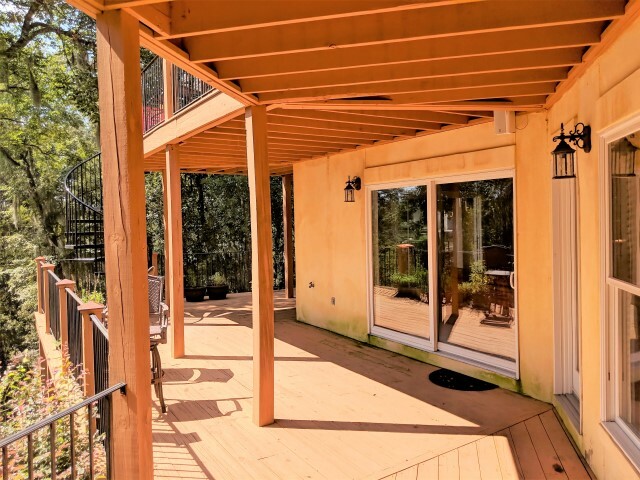 There is a screened porch with dining for 6 along with a door that opens onto the over sized deck. 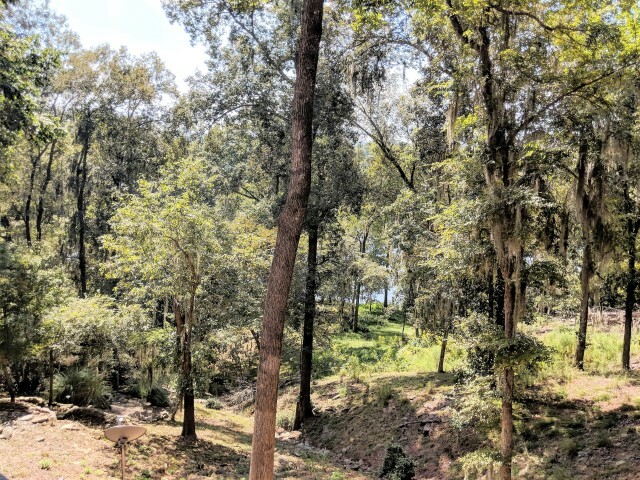 Owner suite is located on the main level with a breath taking view of the Spanish moss laced trees. 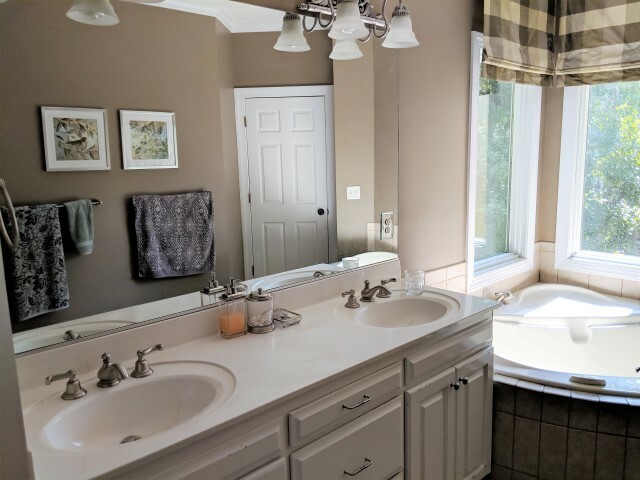 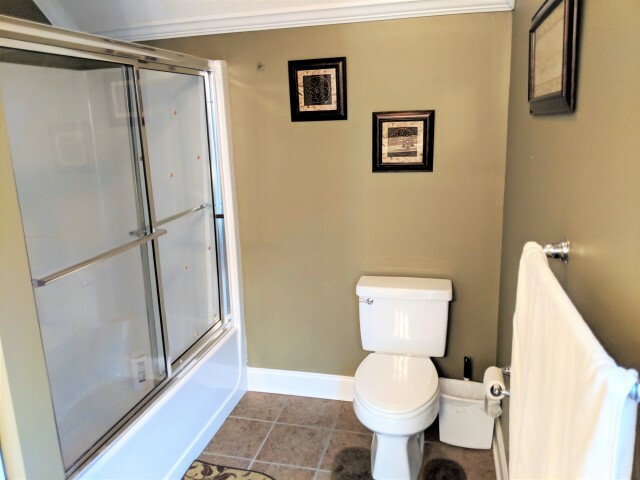 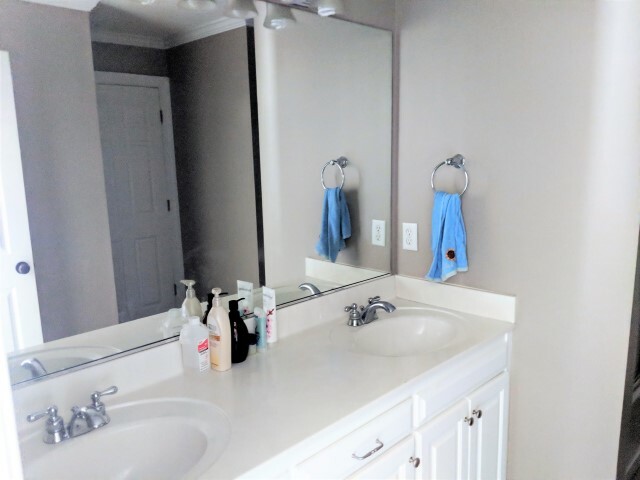 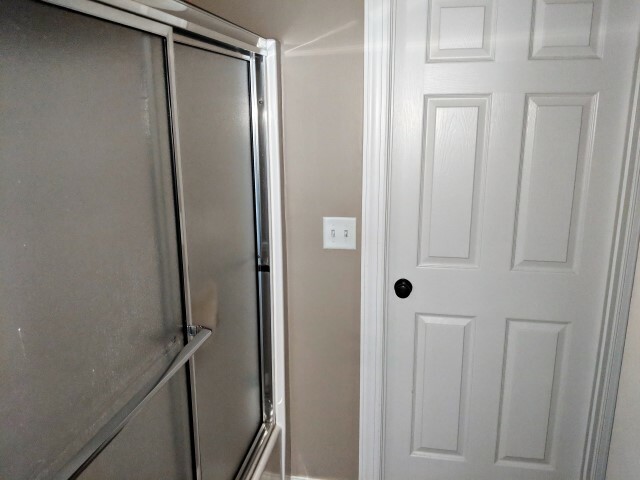 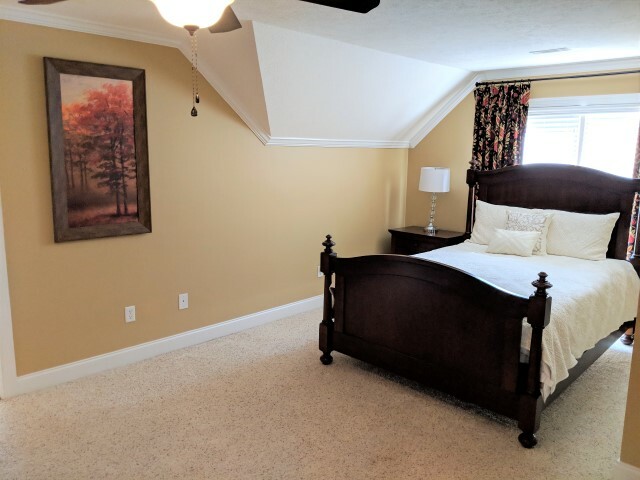 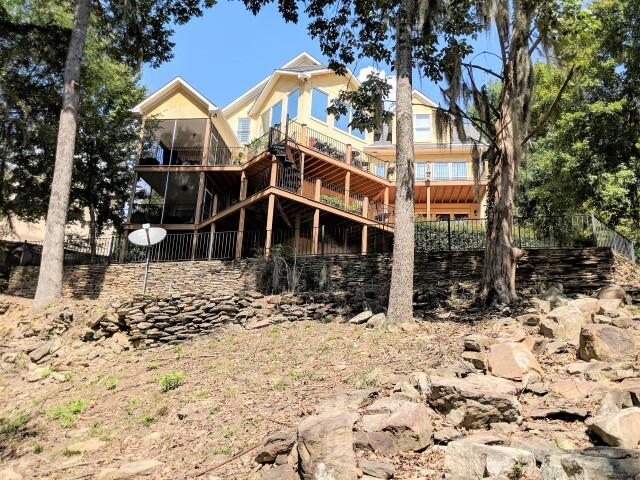 Upstairs you will find 3 bedrooms, 2 full baths and another private screened porch over looking the river. 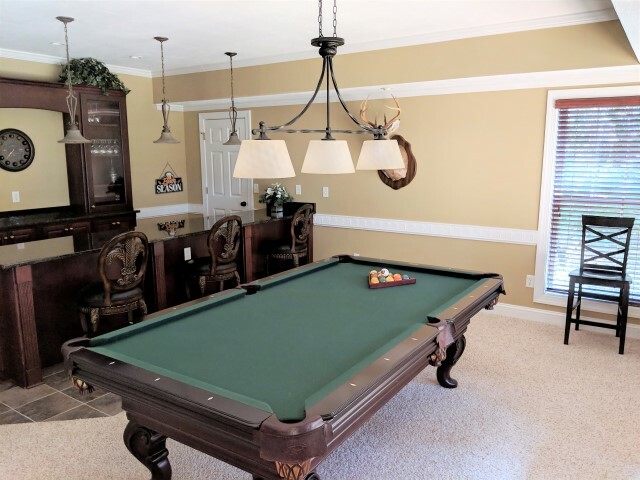 The lower level is perfect for entertaining, boasting a full wet bar, pool table, family room and a 5th bedroom with full bathroom. 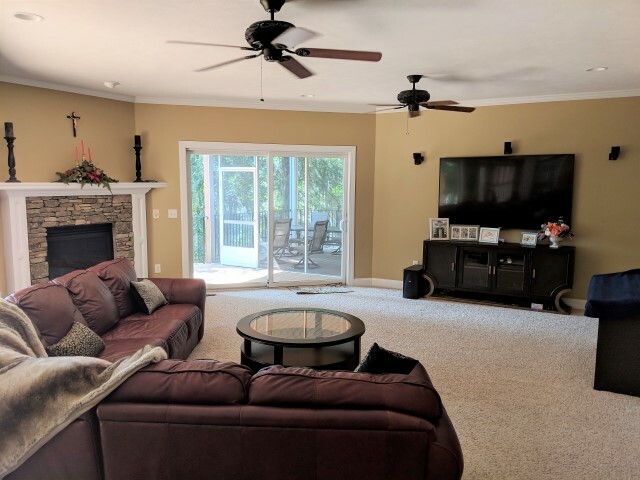 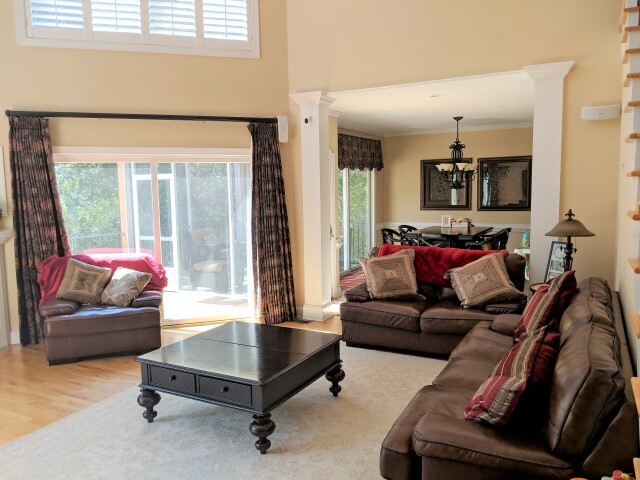 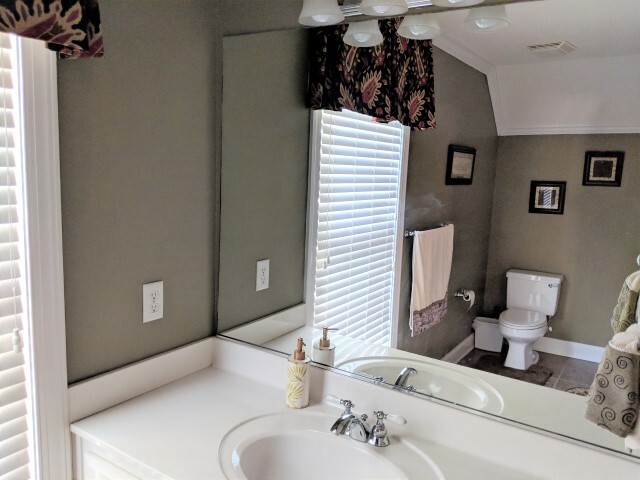 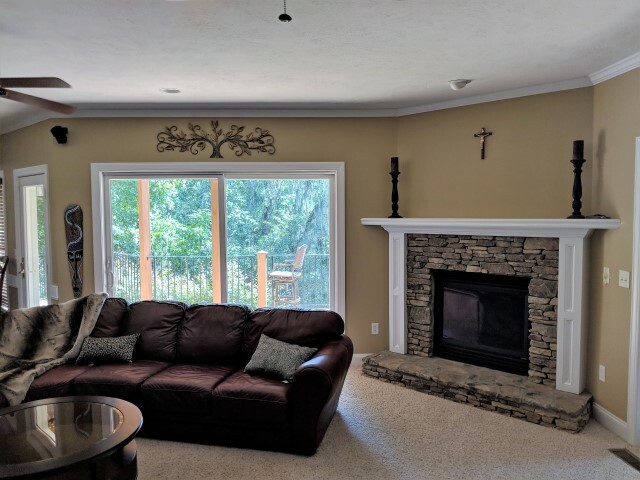 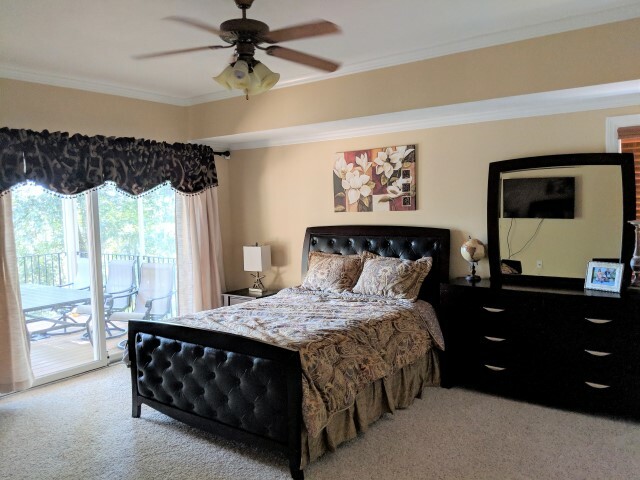 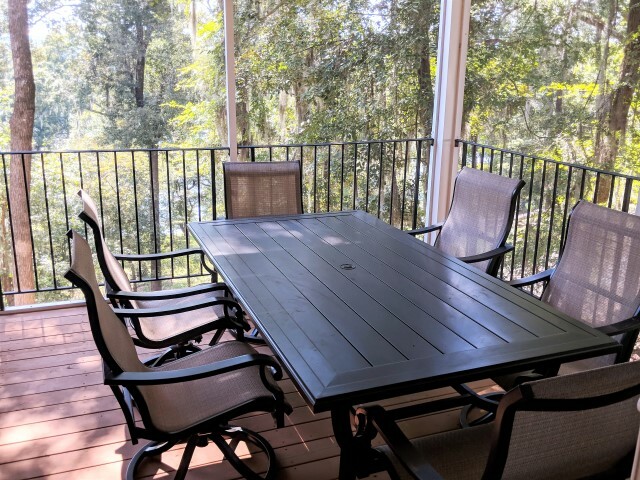 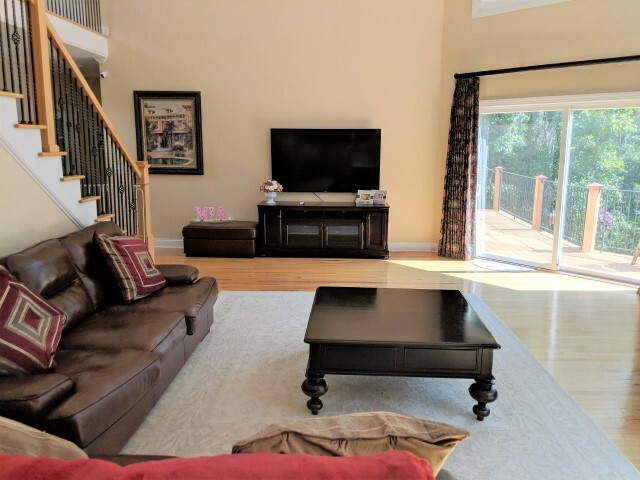 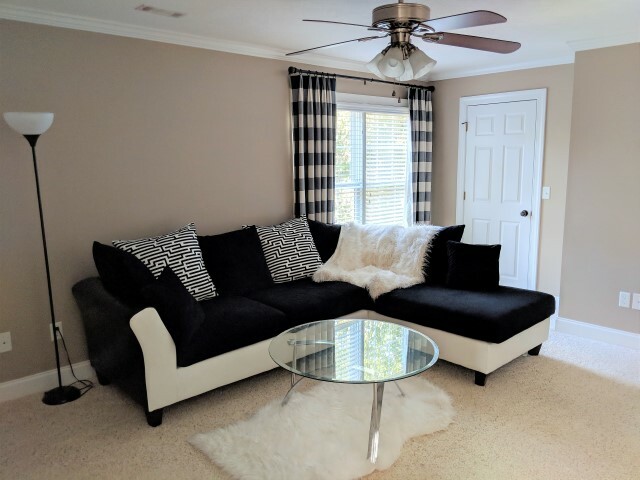 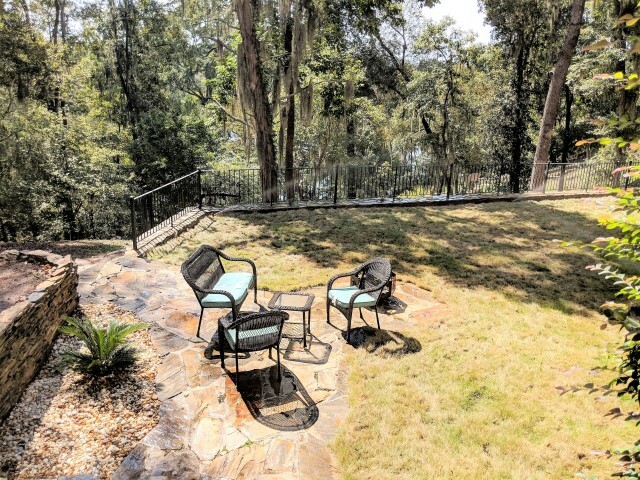 Relax out back on the double decks boasting gorgeous views or take a walk on the natural stone steps that lead directly to the Savannah River.